How much could you earn and what should you charge your guests? It's a difficult process working out what prices to set for your rental home and one which shouldn't be taken lightly. 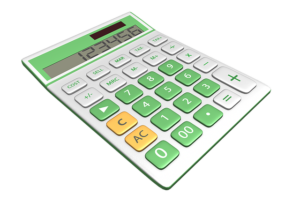 Holiday let income calculators can help work out your overall ROI however will be limited and generally can only be compared to other similar properties on a given platform. Hosts need to consider nightly rates (midweek v weekend), weekly rates, monthly rates, discounts, minimum stays and preferred changeover days. For nearly all destinations, rental rates will be seasonal and as such your revenue will change throughout the year. Any revenue calculation will generally provide an average monthly income. Find out what you could earn with your holiday rental/vacation rental. Some listing sites offer calculation tools (below) where owners can get an idea of what rental income they can expect to receive by renting their properties/rooms. Owners should only use these tools as a very approximate estimation of any money they could earn. Estimates based on 50% occupancy, rates of local listings, season, listing type and guest capacity. How much you actually make may vary with your pricing, type and location of your listing, actual occupancy rate, season, demand and other factors. Your local laws may also impact your actual earnings.